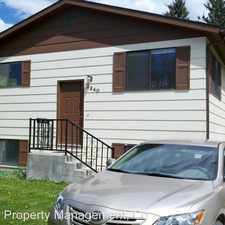 This apartment is in the Fairview and Pattee Canyon neighborhood in Missoula. Nearby parks include Whitaker Park, Spartan Park and High Park. 815 SW Higgins Avenue has a Walk Score of 43 out of 100. This location is a Car-Dependent neighborhood so most errands require a car. Close to Pattee Street Market - NO PETS- NO EXCEPTIONS! Upper Level. 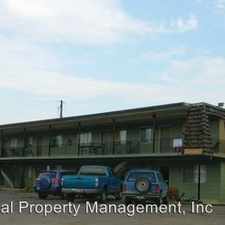 This great one bedroom apartment offers one bathroom, a dishwasher, a deck and coin-op laundry in the complex. This unit has electric heat. 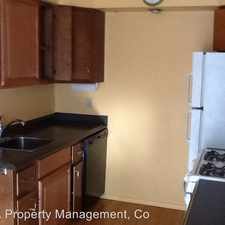 Water, garbage and sewer are included in the rent, tenant would be responsible for all other utilities. ADEA does not allow smoking in any unit. Explore how far you can travel by car, bus, bike and foot from 815 SW Higgins Avenue. 815 SW Higgins Avenue has some transit which means a few nearby public transportation options. View all Fairview and Pattee Canyon apartments on a map. 815 SW Higgins Avenue is in the Fairview and Pattee Canyon neighborhood. Fairview and Pattee Canyon is the 13th most walkable neighborhood in Missoula with a neighborhood Walk Score of 24.